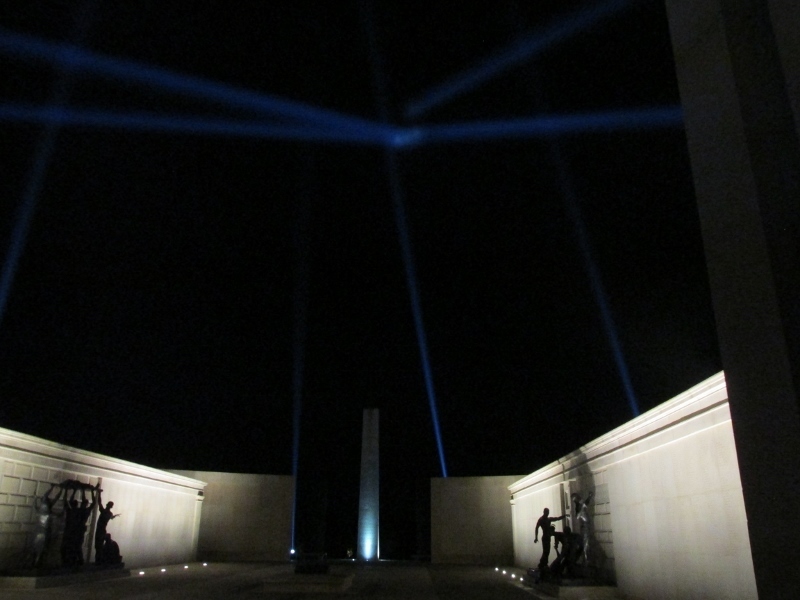 The delightful and moving National Memorial Arboretum has been unveiled in a brand new light, literally, following the launch of a stunning new display in the lead up to Christmas. 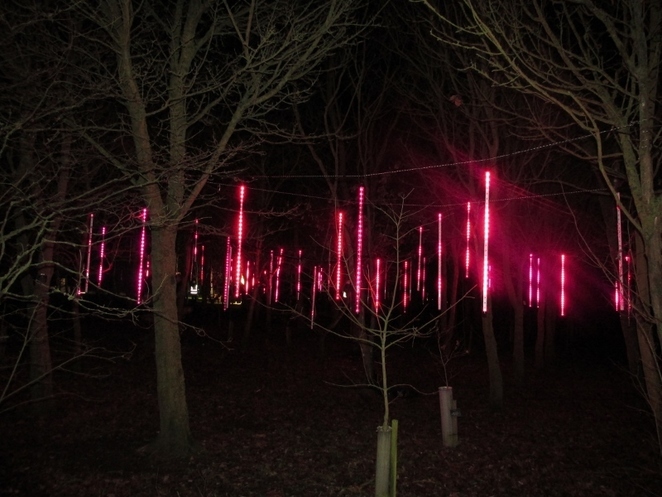 Illuminated Arboretum, which is being staged at the 150 acre site in Alrewas, Staffordshire, for the first ever time, is described as an awe-inspiring immersive experience which will see parts of the Arboretum and some of its more than 300 memorials bathed in beautiful lighting each evening from Wednesday 12th December until Friday 21st December. Previous visitors to the National Memorial Arboretum, which pays a poignant tribute to the fallen and serves as a UK centre of Remembrance, will be able to enjoy it all over again in what promises to be for many a winter's evening not to be missed. Illuminated Arboretum is open to the public on just ten selected December dates, but Armed Forces families were offered the chance to visit the colourful display for free on December 11. 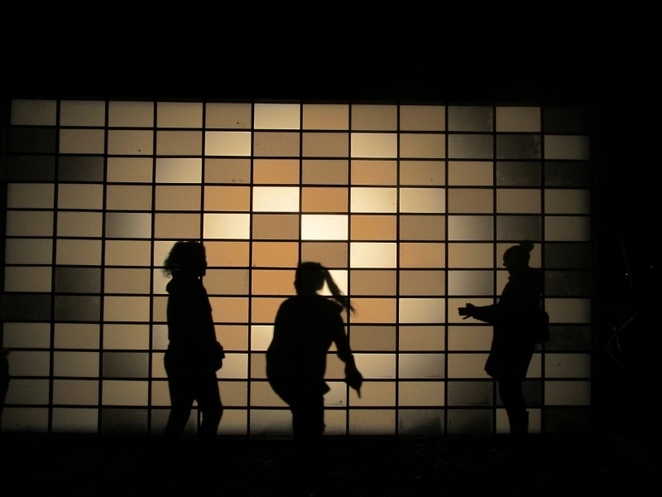 The special Illuminated Arboretum tours start each evening at 6pm and continue at half-hourly intervals, with the last one of the night setting off at 8pm. With the woodland site normally in total darkness and closed to visitors in the evening, the Arboretum has established a set path for people to follow, with additional lighting on top of the actual displays helping to show the way. Volunteer guides are also on hand to make sure visitors stick to the route, while a hot drinks stand is roughly halfway round offering - in my case - a very welcome hot chocolate to keep out the chill of the evening. On first entering the Arboretum grounds visitors will immediately notice lights high up in the sky which, on closer examination, emanate from the central Armed Forces Memorial which proudly displays the names of 16,000 service men and women who have died while on duty since the end of World War Two in 1945. 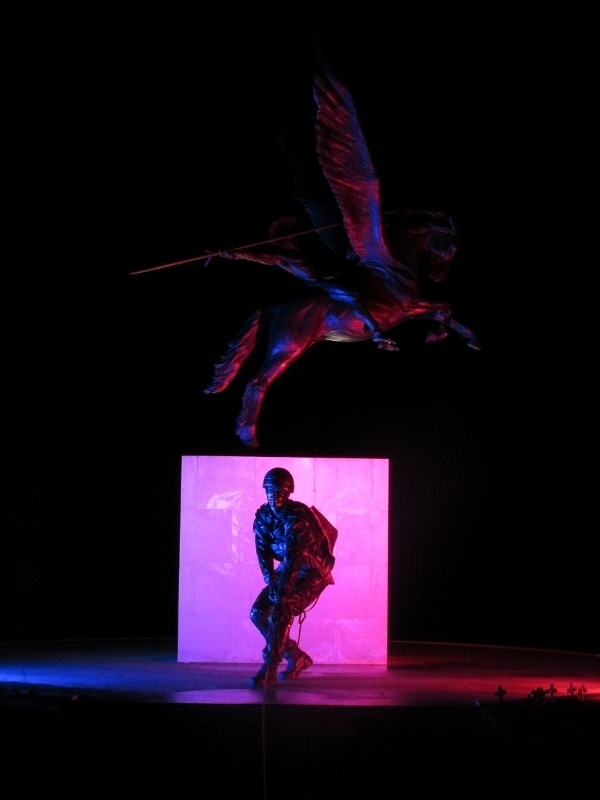 Entitled Beacon of Light, the programmed display serves as a tribute to those who have fallen by using light and movement to create a beacon in the sky. 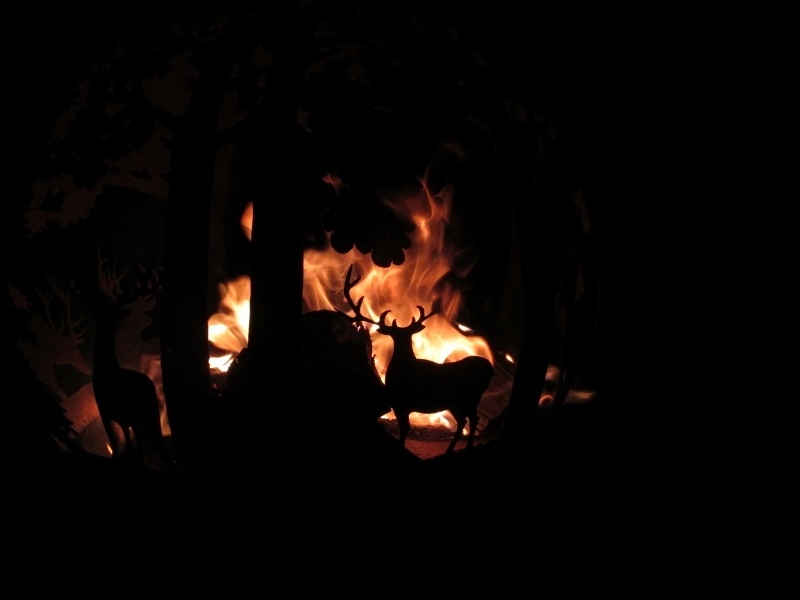 The tour, which uses light and colour to create a series of artistic scenes and interactive displays, begins with rows of torches, and the occasional woodland scene brazier, to point the way along the main Millennium Avenue. That brings visitors to the first interactive display, named Shadow Play, where children and those young at heart could have fun creating their own life-size shadows onto a specially built wall. From there it was off to a display called Reflections, which consists of a series of water jets lit up by different vibrant colours shooting out of the River Tame in sequence. The path then continues alongside the river, helped by lights in some of the trees, to the Light Forest display. This delightful scene combines a series of changing coloured lights strung in the branches of trees with delightful soothing sounds to create a magical experience. Next up is a pair of neighbouring Decoded installations which use Morse Code to create a light display using colourful LEDs. 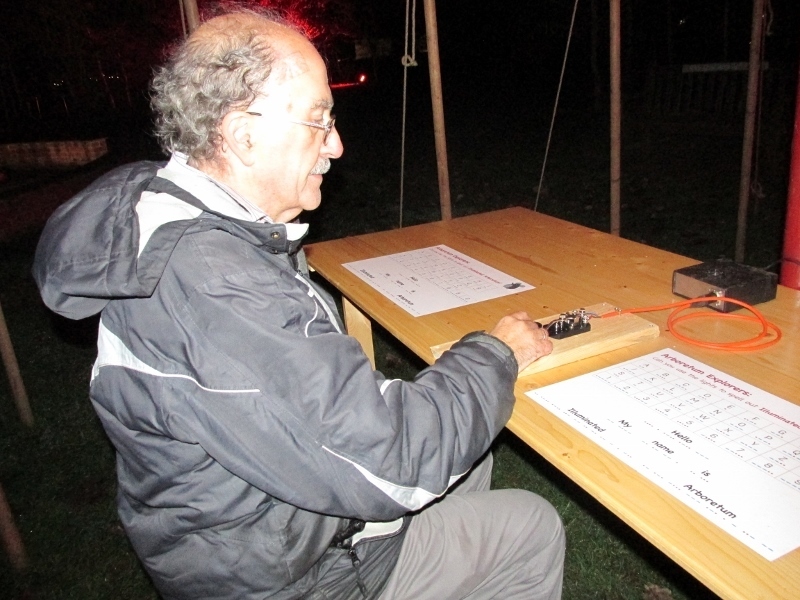 Visitors of all ages are invited to tap out the challenges set by the Arboretum using a Morse Code device to spell out words and phrases such as 'Hello, My Name Is...' through a series of dots and dashes. 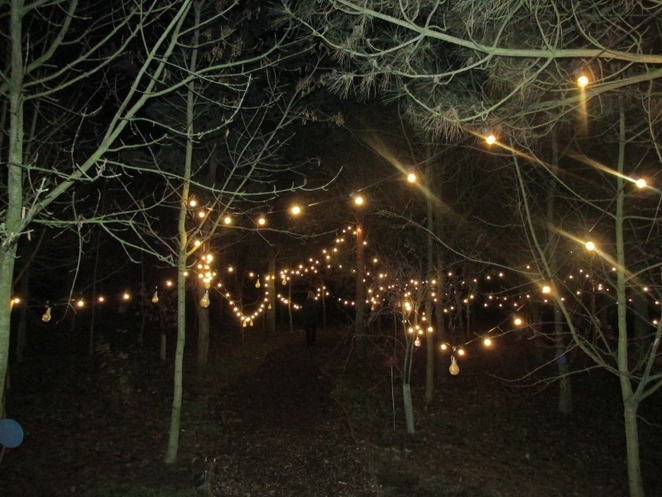 After having stopped for hot refreshments or a visit to the toilet along the way, it is then off to Votive Woods which consists of seemingly hundreds of lights hanging from trees. As well as strolling through the wood, visitors also have the chance to make their own contribution to the display by adding a large light bulb given to them at the entrance to the remembrance installation, which they can hang up themselves in memory of a loved one. 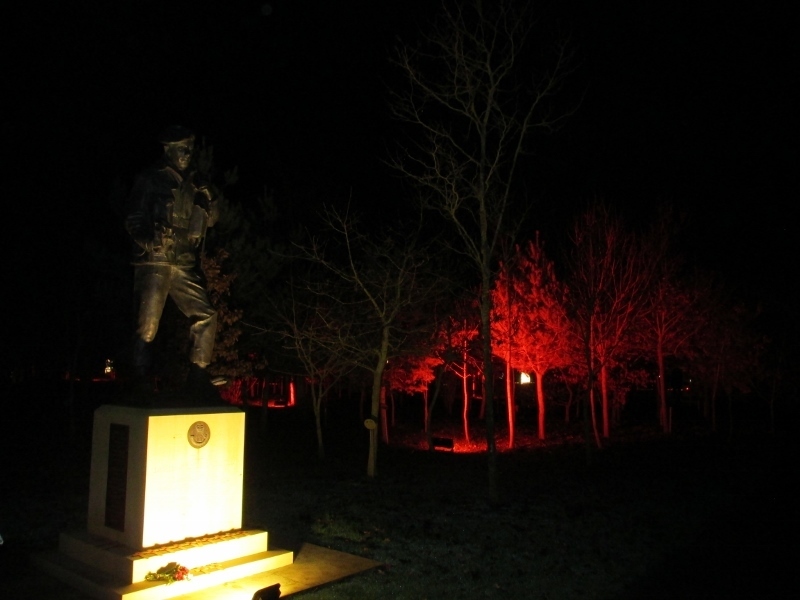 The journey through the Illuminated Arboretum continues past further memorials specially lit for the occasion, including the stunning sculpture dedicated to the Parachute Regiment, before heading back towards the Arboretum entrance. The route takes visitors through Path Finders, a row of coloured lights to guide them alongside Police Memorial Avenue, otherwise known as The Beat. This brings you out close to the Armed Forces Memorial, and the Beacon of Light display, with visitors invited to take closer look at the memorial itself.